I like to give shout-outs on the blog to our steadfast, workaholic crew, but here I really have to give a double-thanks to Chef Matt. Matt has been going way way beyond the call of duty since our changeover last September. He's regularly logging 60+ hour weeks, doing menu creation, training, ingredient purchasing, prepping, cleaning, the whole shebang. On top of that, the food itself that is coming out has been stronger, more focused, and more finished. The menus lately have had a great precision, both of ingredient combination and preparation technique. You should watch this guy cut mirepoix - it's so evenly diced it's like it came off a machine! Matt's cuisine has grown so much over the last year - I really can't wait to see where it goes. He is now building a food lab in his home, so I am especially looking forward to more wildly exotic fermented things - kombuchas, kimchis, curry pastes, and so forth. 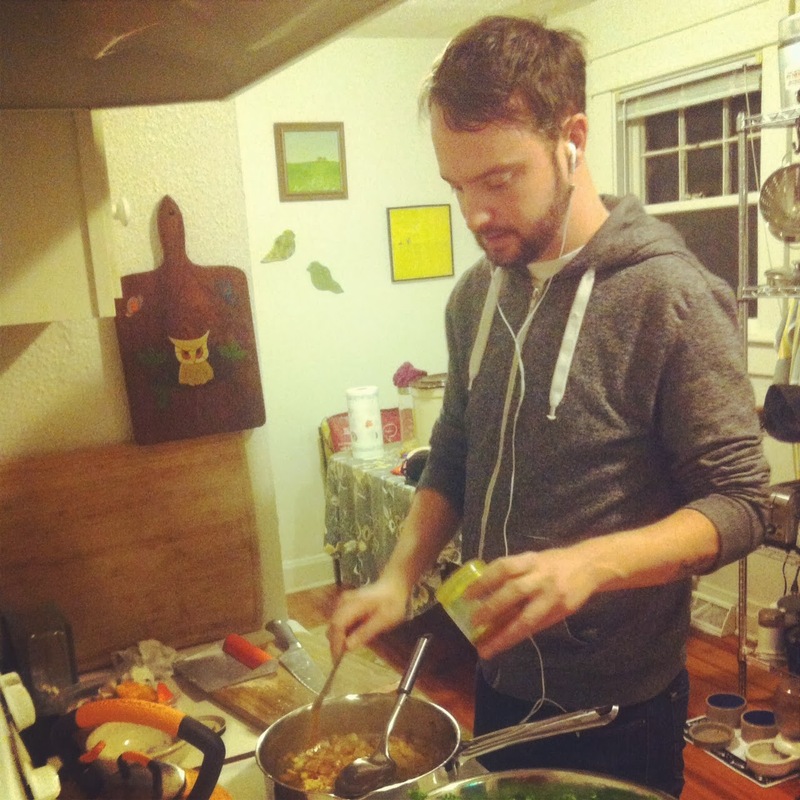 I really have no doubt that Matt is one of the most talented vegan chefs in the U.S. While the food we cook is not served on white linens, I think the deliciousness quotient matches anything you might find elsewhere. Typically, when you go to a fine dining restaurant and order the vegan or vegetarian plate, what you get is a salad or or a side dish medley. Matt's creations are all designed so that the plant is directly centered in the middle of the plate - entrees are entrees and are wholesome, savory, and filling at that.